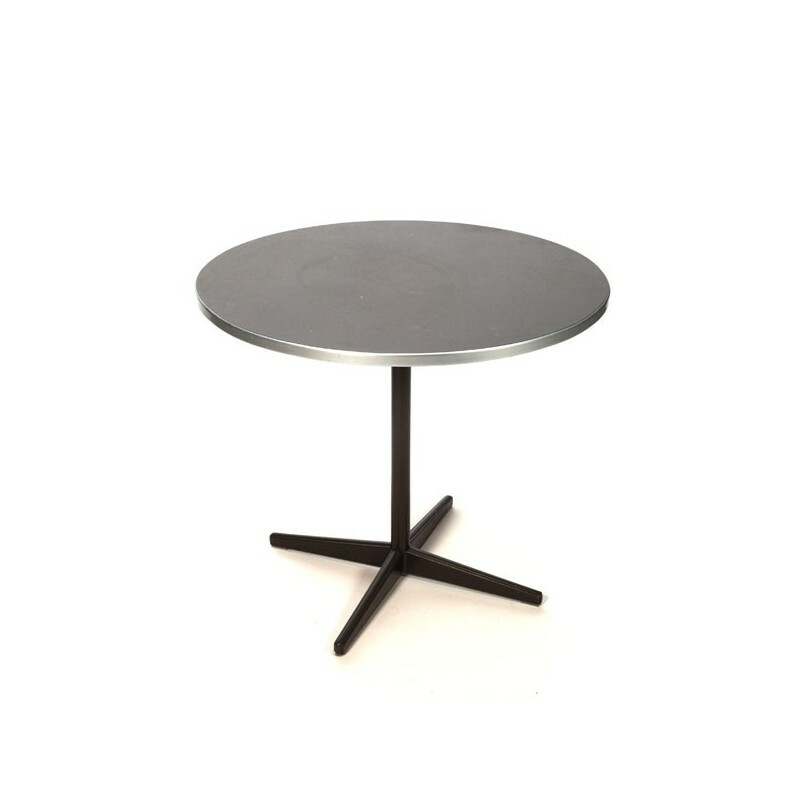 Industrial table designed by Friso Kramer for Ahrend de Cirkel. 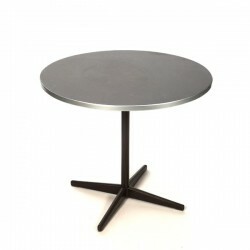 The table has a brown frame and stands on a starbase. The linoleum top is dark gray in color and is in afair, but used condition (some spots). The condition of the table is reasonable given the age, see detailed pictures. The size is 80,5 cm in diameter and 68,5 cm high.